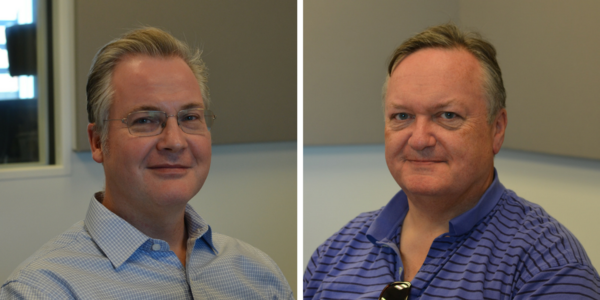 MÃ¥rten Jansson and Philip Barnes discussed the Saint Louis Chamber Chorus' 62nd season on St. Louis on the Air. "The theme is dance to the music of time," said Barnes of the season's setup. "I love the phrase, so I put together six programs that explore the influence of dance on choral music, but also of time." Jansson's piece, which will premiere during the Oct. 1 performance, is titled "Tonight I Dance Alone." Jannson said the piece was developed by coincidence when he stumbled on the poetry of Charles Anthony Silvestri. "I once heard a popular song about a man whose grandchildren asked him why he was wearing dancing shoes and he said he was wearing dancing shoes because he knew he would die one day and he wore the shoes for when he met his wife in death," Jannson said. "I commissioned this poem from Silvestri." A discussion with composer Mårten Jansson and Philip Barnes about the Saint Louis Chamber Chorus' 62nd season and a world premiere from Jansson himself.